Speed kills. 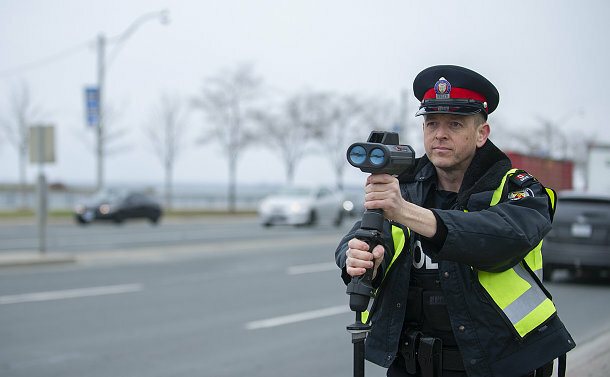 In just three days this week, Toronto Police has issued nearly 500 speeding tickets as part of the #SlowDownToronto Campaign that runs from April 8-14. He reminds drivers that it takes 43 metres to stop a car travelling at 60 km/h based on a dry, level road. “It takes 1.5 seconds for the perception and reaction time alone for your brain to tell your foot to hit the brakes,” said Moore, noting speed limits take into account whether a road is residential or arterial because drivers may have to brake suddenly to account for pedestrians. He points to the Traffic Accident Commission of Victoria's Wipe Off 5 campaignvideos to show drivers the difference in stopping times by slowing down five km/h. It shows that shaving speed makes a huge difference in the ability to react on the road. 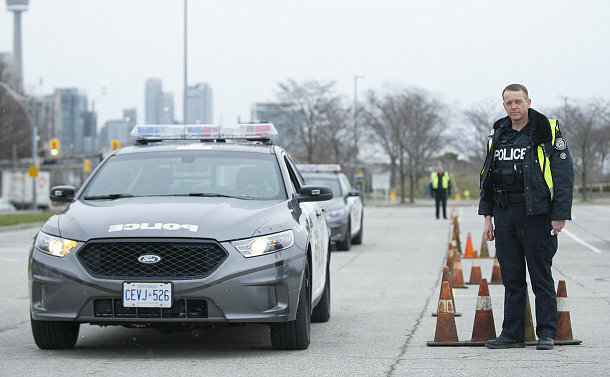 When Traffic Services and the City of Toronto looked at the fatal collisions in 2018, it was discovered that 80 per cent of the fatalities were a vulnerable road user. Sgt. Brett Moore conducts radar traffic enforcement along Lake Shore Blvd. Last year, a total of 45,000 speeding tickets were issued. Traffic Services is also connecting with motorcyclists during the campaign. A total of nine riders were killed in 2018. Moore said two things stood out as contributing factors for the fatalities.